I am HIGH-TECH over here! It looks like Chicken will be moving to his dad's house soon-which means more brain space for me. Which means maybe a spreadsheet solution for you!!! When I first read "pregnancy-damaged brain" I briefly thought "OMG, she's pregnant??!" I'm so sorry but it's early and my brain is apparently damaged as well. As always, thank you so much for doing this. It is fun fun fun! I'm amazed you do that spreadsheet by hand. 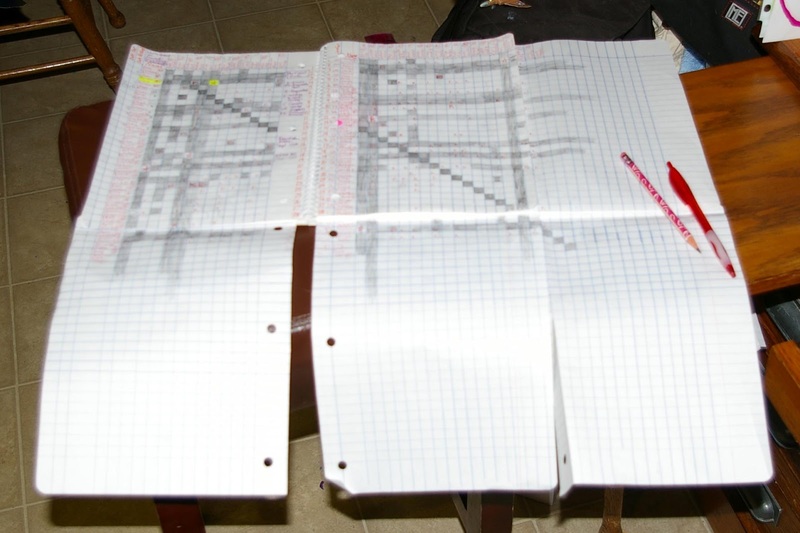 I'm an excel junkie and would have a fun time entering and color coding that thing! Ack! Is it still too late to sign up? It totally slipped my pregnancy damaged, sleep deprived brain. Would an even 34 be helpful. If so, count me in! Mrs.Irritation-No =(. If I was pregnant, I would be hysterical/scared to death and be posting something panicked in ALL CAPS. twisterfish-I haven't used Excel in so long that it seemed easier to do it by hand =). I'm not averse to learning, if someone could come over and show me ;-)! Shin Ae-It's hard to feel like a saint when I enjoy this so much =)!